A couple weeks ago, Rusnano Sistema Sicar, a Russian private equity fund, announced that it will invest $6 million in Apis Cor, a startup originated from Siberia which has designed a 3D printing technology for the construction industry. The Apis Cor 3D printer is a mobile robot capable of constructing buildings using fine-grained fibre concrete with special additives. It can build walls in any design for buildings of up to three storeys in a very short time. 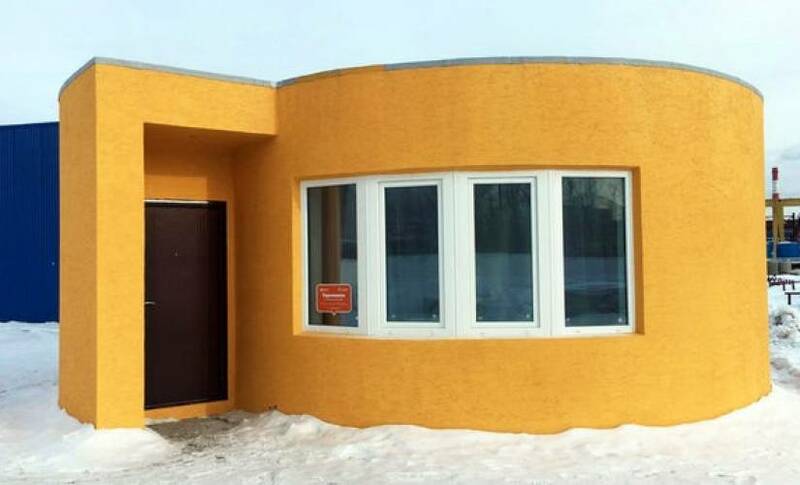 “We expect the Apis Cor technology to make cottage construction 19% cheaper than foam concrete houses as soon as next year, with a further potential cost reduction of up to 30%,” Rusnano Sistema Sicar stated. Apis Cor made the news last year when it printed a printed a 38 sq. m. house in the Moscow suburb of Stupino in just 24 hours at a cost of less than $10,000. See Also: Can wearables transform the construction industry? Beyond the Russian market, the company targets Asia and the Middle East, where important state-sponsored construction programs have been launched, as well as the USA and Europe, where demand is high for original and highly complex architectural house and cottage designs. Apis Cor expects to generate several dozens of million US dollars in revenues next year with a fleet of dozens of 3D printers. “3D printing has enormous potential for the construction industry, with a projected share of up to 30% of the global low-rise cottages market, which is valued at $68 billion. (…) Apis Cor has the potential to become a leader in the 3D construction industry and claim first-mover premium in this fast-growing market,” said Sergey Dergach, CEO of Sistema Consult, a company acting as an investment adviser to Rusnano Sistema Sicar. Originated from Irkutsk, Apis Cor has offices in Moscow and San Francisco. Earlier this year, the startup received praise at several Russian startup contests and received a grant of 3 million rubles (approximately $50,000) from Skolkovo, the international tech hub under completion on the outskirts of Moscow. Apis Cor comes as the first portfolio company of Rusnano Sistema Sicar. This fund was established last year by Sistema, a diversified Russian corporation, and Rusnano, the state-backed nanotechnology investment corporation. The partners expect the fund to manage $100 million in assets, allocating cash funds progressively to finance the transactions. The fund is open to new investors. Rusnano Sistema Sicar seeks to invest in high tech companies at various stages of growth. It is seeking these investments in Russia and neighboring countries as well as in Europe and Israel. Software for comprehensive security systems. This story first appeared in East-West Digital News, a partner of ReadWrite covering the Eastern-European statup scene.